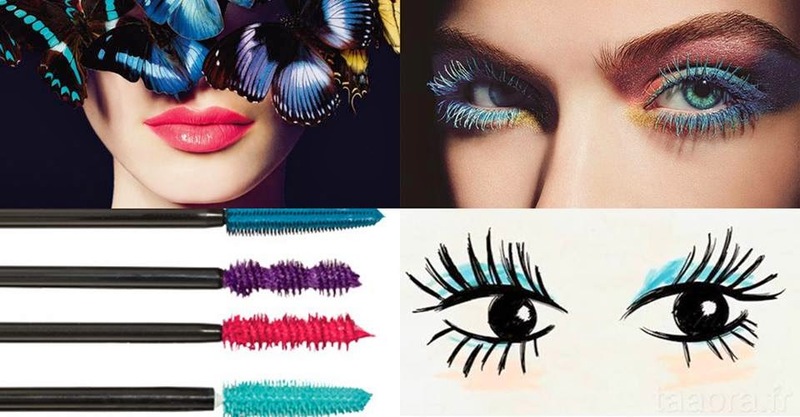 Colored mascara is set to be a thing this summer! Colored lashes are not a new trend, worn diligently in the mid 90s with our crop tops and magnetic piercings; they come back in a more modern and versatile way than ever. Luckily, the new colored mascaras are way more chic and fashionable than ever before. When you do it right, colored mascara is a great way to lighten up your look, compliment your eye color, and really make your eyes pop. Toxic kiss and poisoned lips? I love lipstick and so do many of you. We all use it on a daily base and we apply it several times a day, some of us prefer the lighter and shinier version of a lipstick, the lip-gloss! We all bother with the color and the texture but not many of us bother to know what we ingest because of this beauty addiction.I also never looked much into lipstick as I always have so many other things to look deep into, but as the cosmetic scandals are back and because lately I have developed some chemistry cosmetic obsession I took time to do some lip-service investigation.Lipstick and lip-gloss are often ingested over the course of the day so the impact of any toxin is heightened above and beyond skin absorption levels. 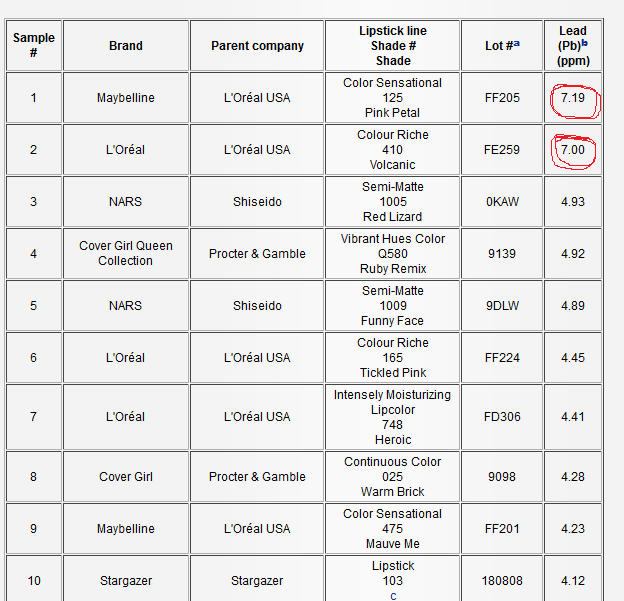 Both Canada and the European Union regulate allowable levels of heavy metals in cosmetics. 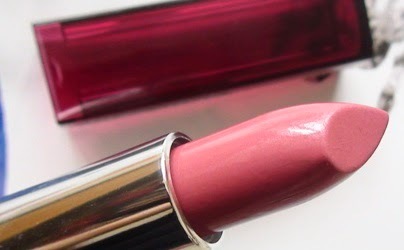 The European Union has banned the presence of cadmium, chromium and lead altogether in cosmetics, but there is still a poor regulation regarding cosmetics and that why it was found concerning levels of nine heavy metals in many of the lip products, no matter what brand they were or how much they cost. Is alcohol in cosmetics safe or not? 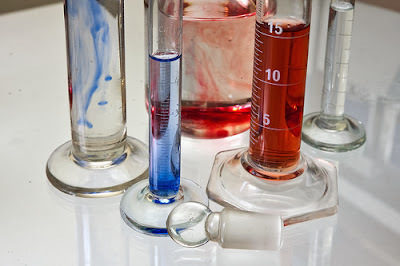 I thought we should have a bit of a cosmetic chemistry lesson today as it might be really useful to know how to identify nasty ingredients in our skincare. We all try to avoid it as much as possible but many of us don’t know that are many types of alcohol: the good ones and the nasty ones. In benign form alcohols are glycols used as humectants that help deliver ingredients into skin. When fats and oils are chemically reduced, they become a group of less-dense alcohols called fatty alcohols that can have emollient properties or can become detergent cleansing agents. No matter your skin-care concerns, alcohol as a main ingredient in any skin-care product is a problem. The nasty ones have low molecular weights. These include ethanol, denatured alcohol, ethyl alcohol, methanol, benzyl alcohol, isopropyl alcohol, and SD alcohol, which not only can be extremely drying and irritating to skin but also cytotoxic.